We offer safe, gentle and effective chiropractic care and massage therapy to restore the body’s natural function. 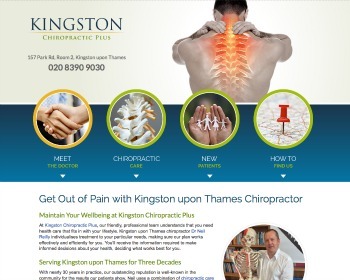 See our website to learn how we can help you! Chiropractor Dr. Scott walker has a genuine concern for your health. Don’t feel held back by pain. You can reach the greatest levels of wellness with natural chiropractic care. Visit our website today to find out more! 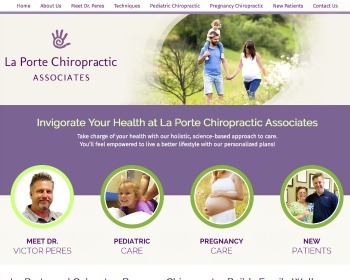 Chiropractor Dr. Victor Peres offers your family the opportunity to boost your overall health and wellness, naturally. Children and adults alike benefit from our empowering approach that rejuvenates your well-being. 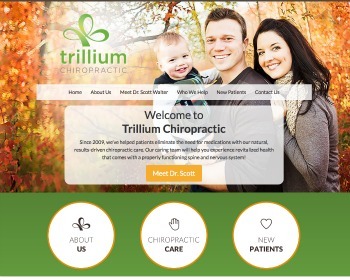 Try our unique chiropractic approach. 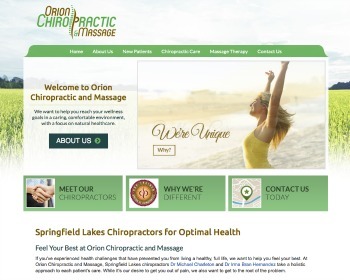 We offer Chiropractic Biophysics and Massage Therapy at our conveniently located clinic. 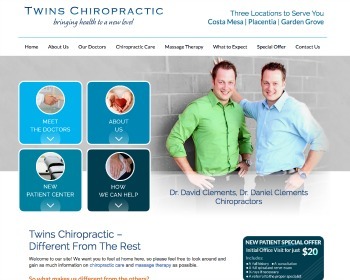 Visit our website to learn how we may help you! 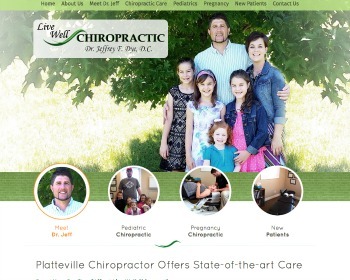 Chiropractor Dr. Jeffrey Dye offers chiropractic care that boosts the well-being of your entire family. We enjoy helping patients of all ages, from children to seniors. Chiropractor Dr Neil Reilly offers natural healing solutions that are individualised to your needs to show you effective results. Get out of pain and maintain your health with our experienced care. 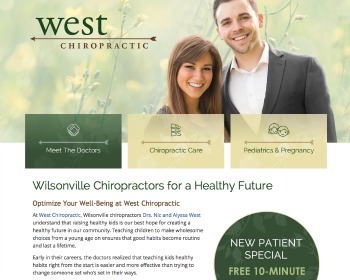 At West Chiropractic, Wilsonville chiropractors Drs. Nic and Alyssa West offer gentle and effective pediatric and maternity care. Our goal is to give kids the best possible start for the brightest possible future. 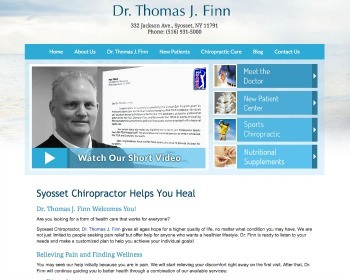 Syosset Chiropractor, Dr. Thomas J. Finn gives all ages hope for a higher quality of life, no matter what condition you may have. Dr. Finn is ready to listen to your needs and make a customized plan to help you achieve your individual goals! Contact us today! 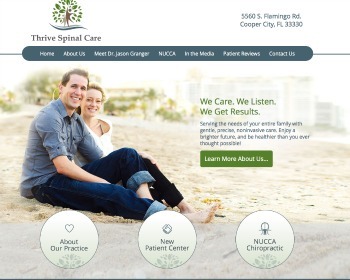 NUCCA chiropractor Dr. Jason Granger offers a precise, gentle approach that works effectively for all ages of patients. Stabilize your health and enjoy a higher quality of life, naturally. 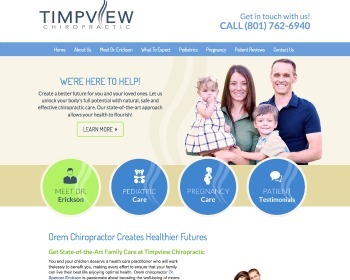 Chiropractor Dr. Spencer Erickson specializes in giving expecting moms, babies and children the healthiest possible future. Natural chiropractic care can ensure your body functions at its highest abilities. 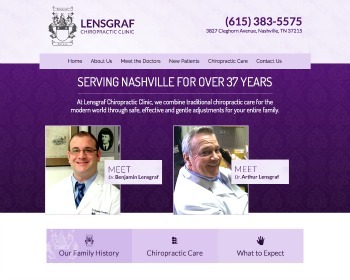 At Lensfraf Chiropractic Clinic, 3rd and 4th generation family chiropractors bring health and wellness to the Green Hills, Nashville community through safe and effective chiropractic care for all ages.